Mowbray School is a highly significant Manitoba building, a rare surviving example in nearly pristine condition recalling the kinds of architectural and site qualities that often defined the experience of attending Manitoba’s one-room schools from the late nineteenth century until about the middle of the twentieth century. 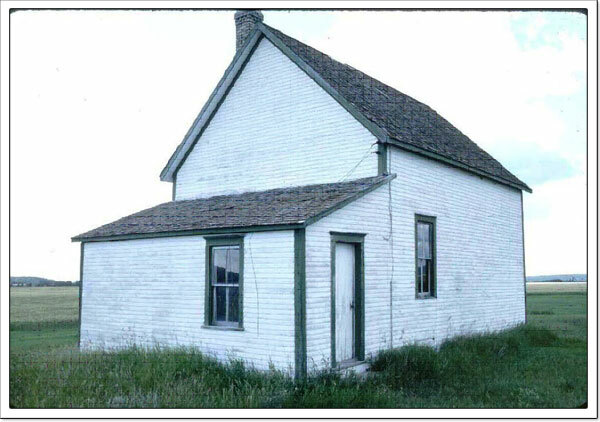 Its small unadorned form and straightforward construction are typical of the type, and recall the approximately 1,500 little schools that once served the province’s rural educational needs, but which have mostly been lost, to fire, demolition, or removal and re-use. Mowbray School’s interior is also of great value: carefully preserved by local residents since the facility was closed in 1956, the school serves as a museum piece, complete with typical finishes and furnishings. Finally, the little building’s situation, small and isolated on a broad expanse of flatland, visible most effectively from the slopes of the Pembina Valley to the south, recalls the determination and fortitude of those who taught and attended this school over the course of 50 years, and of their descendents, who continue to honour that experience with notable love and care.